In a crazy world filled with terrorist attacks, racist police brutality and despicable presidential electioneering, it's nice to know there is some comedy coming to the big screen to counteract all this doom and gloom. 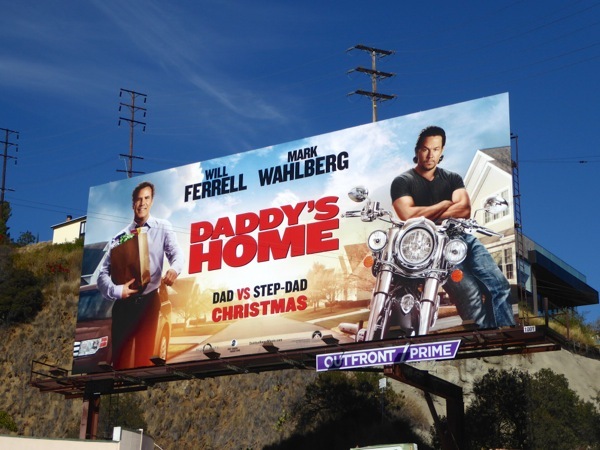 This festive season Will Ferrell (the original Christmas Elf) is teaming up with Mark Wahlberg again for Daddy's Home. 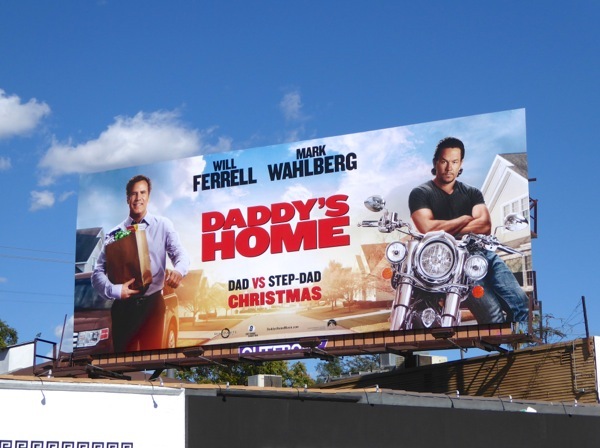 In the film Will Ferrell's mild-mannered character is finally winning over his step-kids, when their cool biological dad re-enters the picture, forcing him to up his game and vie for their affection even more. It's a good old-fashioned dad-off. 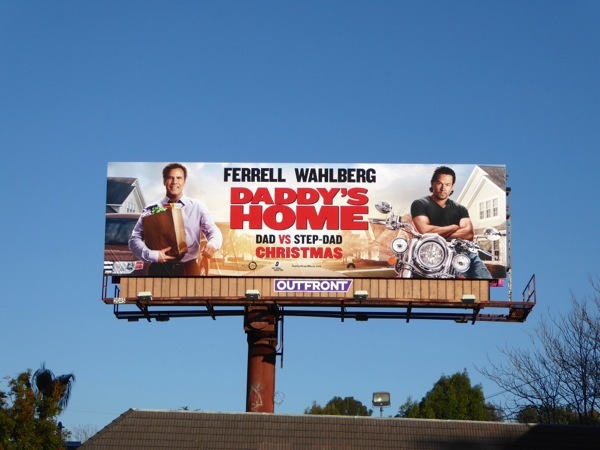 These billboards for the movie, highlighting the differences between the two dads, were first snapped along the Sunset Strip and Melrose Avenue on November 10, then later spotted along Ventura Boulevard in Studio City on December 1, 2015. 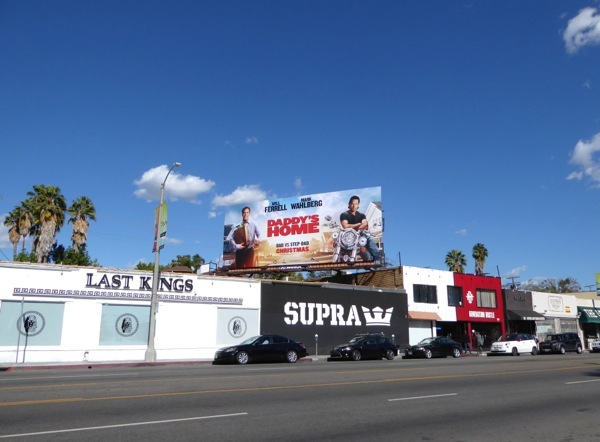 It's not the first time the guys have starred opposite each other, so check out this film billboard for 2010's The Other Guys. 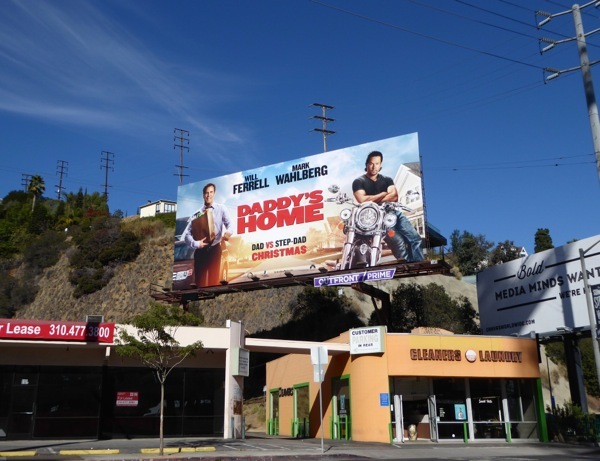 Plus if you're a fan of Will Ferrell be sure to take a look at all his movie billboards from recent years, whilst if you're an admirer of Mark Wahlberg you can also enjoy all his billboards from the big and small screen. Start your engines fellas, and may the best father win.